Please note that this is NOT a list of all the differences between models. A-4, T-4 (aka “Dorado 500”). A-4 low A alto prototype. A-5, T-5 (aka “Dorado 600”). SN-6 (keyed to altissimo E), S-6 (straight soprano; fixed neck), A-6,T-6, B-6 (probably no low Bb baritones). SN-600 (keyed to altissimo F#), A-600 (possibly T-600). SN-800, SS-800 (fixed neck), SC-800, A-800, T-800, B-800 (low A only). Released as 80 models in some markets. SS-880 (removable neck), A-880, T-880, B-880 (both low A and low Bb models). Released as 88 models in some markets. SS-900 (fixed neck), SC-900, A-900, T-900, B-900 (low A only). Released as 90 models in some markets. SS-990 (removable neck), A-990, T-990, B-990 (both low A and low Bb models). Released as 99 models in some markets. SN-901, SS-901 (fixed neck), SC-901, A-901, T-901, B-901 (probably no low Bb baritones). SS-991 (removable neck), SC-991, A-991, T-991, B-991 (probably no low Bb baritones). SS-901II (fixed neck), A-901II, T-901II. SN=Sopranino. S or SS=Straight Soprano. SC=Curved Soprano. A=Alto. T=Tenor. B=Baritone. 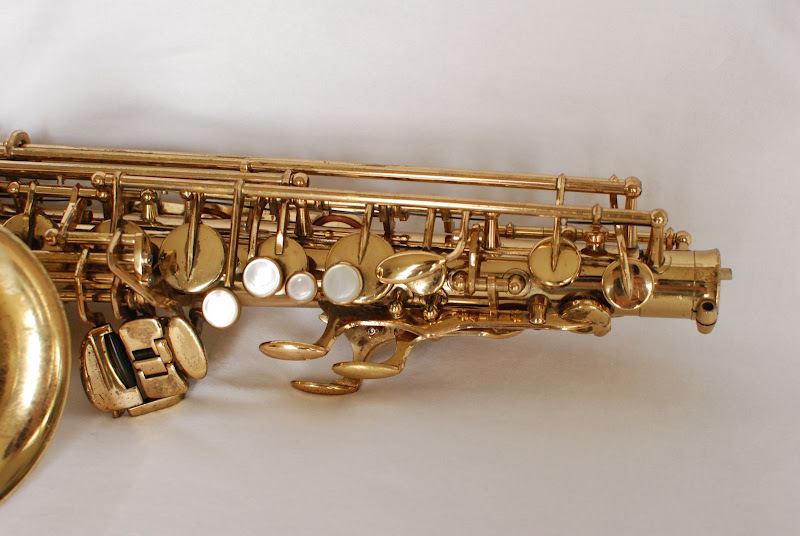 As far as I can tell, Yanagisawa never had any production horns higher than the Eb sopranino (e.g. Bb sopranissimo) or lower than the Eb baritone (e.g. Bb bass) nor were there any production C instruments. There may be some prototypes, but not full production runs. Yani started consistently putting the model number by the serial number starting with the 900 series. Earlier horns may or may not have the model number stamped. Note that a lot of horns are not stamped “Elimona” and that both 800s and 880s could be stamped “Elimona.” “Elimona” is not a model. It’s more a style, probably just engraving. Not that Yanis of this era had much in the way of engraving. Yanagisawa started calling the 990 and later “top” models “Elimona” in some markets. I eventually found a 1980’s catalog listing the SN-600 and SN-800 (the 600 is on the left). It’s a big enough pic to see that the keyed range on both the 600 and 800 are to altissimo E and neither have an altissimo F# key. I even counted tone holes for the upper stack. There are four above the B key and no front altissimo F. If you compare that to the 6 on the SN-9930, which has a keyed range to altissimo G, you can only conclude that the horn pictured in the catalog as an SN-600 has a range to altissimo E.
The Barnes & Mullins article says that the first sopranino was introduced in June 1972 as model “SN-6,” with a keyed range to altissimo E. The Conn-Selmer website goes a step further and says that the first SN-6 sopranino was sold to Sonny Rollins in 1972, but doesn’t comment on the keyed range. 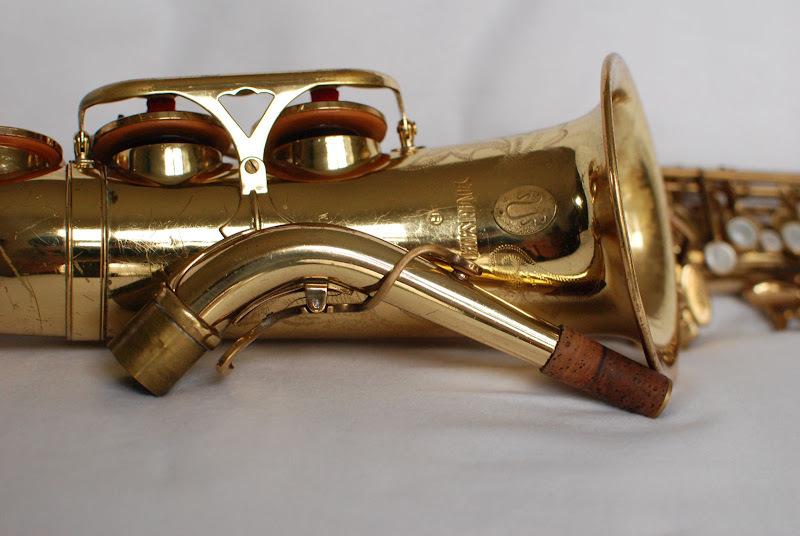 Yanagisawa’s website and others say it’s 1968 with model SN-600, with keyed range to altissimo E. Riojasax says that the SN-600, with keyed range to altissimo E, was released in December 1968 and the SN-6 was released in June 1972. So, my current opinion, based on agreement from most of my source material, is that the SN-600 is a sopranino with a keyed range to altissimo E. The SN-6, if I can ever find one, probably has a keyed range to altissimo F# or it has some small change to a bit of keywork, like the A-600. The S-880 is easy enough to identify: if it has a removable neck and a serial number that puts it between 1980 and 1990/1 it’s an S-880. The S-800 is a fixed-neck straight soprano that has the Elimona stamp and Yanagisawa “coin” badge. The S-6 looks like … an S6. It doesn’t have an Elimona stamp or Yanagisawa “coin” badge, but plain engraving. The 6 Series alto and tenor were no longer made after approximately 1980 — give or take a couple of years — so you’re not going to have to worry about those. However, the 6 Series sopranino, straight soprano, and baritone were available at the same time as the 500, 800, and 880. Add to this the fact that Yanagisawa had an aversion to stamping the model number on a horn — except the 880: all the 880 alto and tenors that I’ve seen, including stencils, have an “880” stamped around the serial number. The 880 stamp seems to be random on other pitches. So, while it’s kinda easy to get “880” stamped on your horn, you can use this as one indicator. How to tell if you have a 500: both the 800 and 880 have double arms on the low C and low B keys. The 500 doesn’t. It also won’t have the Yanagisawa “coin” badge on the bell, but rather simple engraving. The 880 has an underslung octave key mechanism on the neck and the 800 has the traditional over-the-top style. However, I dislike telling people to look just at this feature because necks can be replaced. Again, all the 880 altos and tenors I’ve seen are stamped “880” by the serial number, even 880 stencils. So, I think if you see that and/or the funky G#/C#/B/Bb cluster, you can be pretty sure it’s an 880. The main difference between the B-6, B-800, and B-880 is that the B-6 has a single arm on the low C and the 800 and 880 have double arms. You can tell the B-800 and B-880 apart by … well, erm … the “880” stamp near the serial number. Let’s look at two B-880s. Here’s a sn 00118865 (1984) horn and a sn 00130055 (1986) horn. There are a lot of keywork differences between the two. You can see that the 1986 horn has the “ergonomic” low C and Eb and that the chromatic F# is now an oval pearl, rather than a rectangular key without a pearl. The altissimo F is now a pearl teardrop, rather than a round button. I simply don’t have enough B-800 or B-880 examples to give you a better guide right now, but you can probably count on those “ergonomic” low C and Eb keys to only be on 880s — and you’ve got an easy way to tell if the horn’s a 6 Series or not. I also think that the B-800 and B-880 may have been special order horns, so the differences between the B-800 and B-880 might never be consistent, except for the 880 using imported brass and the 800 using Japanese brass. That’s rather hard to show.